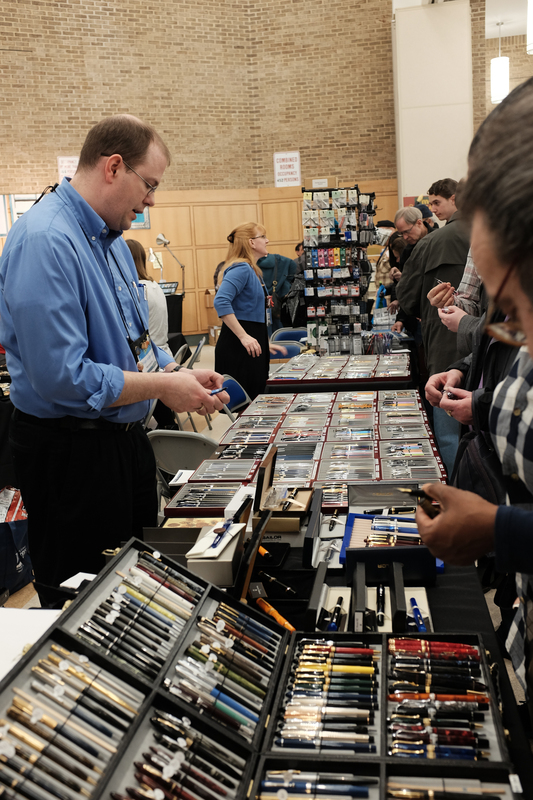 I didn’t spend nearly as much time or money at this year’s Long Island Pen Show, but that’s not to say it was a bad time! I only had one mission going in, and that was to get my Montblanc 149 writing correctly. 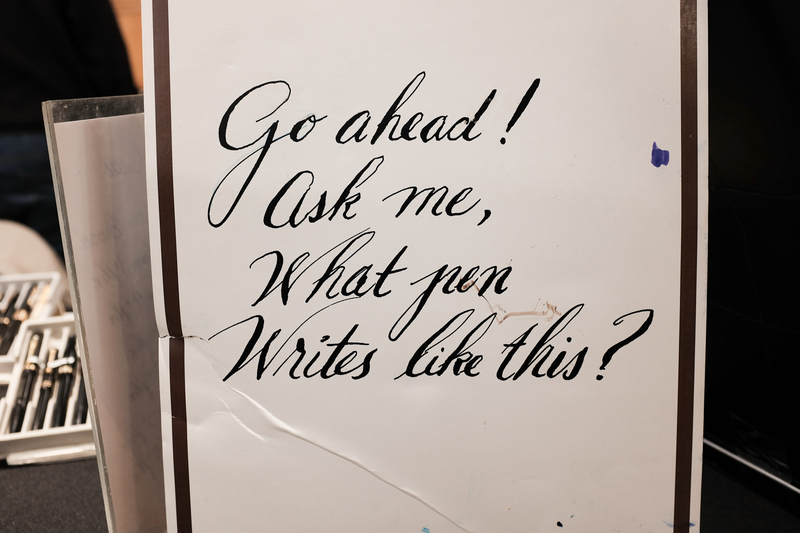 First order of business was to get on Richard Binder’s nib work list, and I managed to before it was closed! After walking around a bit and scoping out the situation, nothing had really jumped out at me. More than likely because I purchased both a Pelikan M805 Stresemann and a Lamy 2000 Stainless Steel last week online. I had already blown through my budget for 2015, but it was totally worth it! It was great seeing Cary from Fountain Pen Day and Julie from the Big Apple Pen Club! I let them check out and try the new Pelikan and I tried out Cary’s architect-ground Karas Kustoms Ink. I spent some time checking out the flex nibs, and they were great. I’ve never used a music nib before, so that was an awesome experience. I think I may end up with one at some point. They really put a TON of ink onto the page. I always end up spending some time ogling the Parker Vacumatics. I absolutely love the way they look. 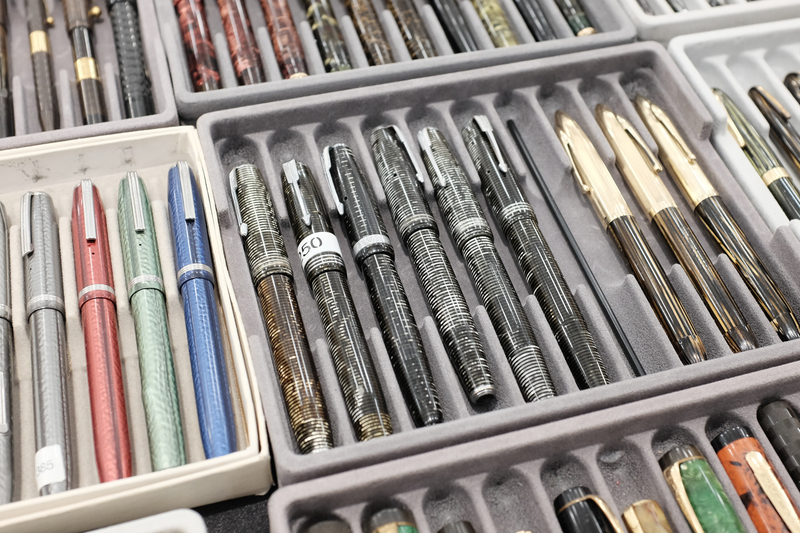 Here are some shining examples of some of the larger Vacumatic Majors. Brian and Lisa Anderson are some of the nicest people in the pen industry. It’s always a pleasure seeing them! I had a nice talk with both of them about new products, old products, vintage Pilots and Sailors, and much more. I ended up leaving their table with a new Lamy Al-Star in Copper Orange. Be on the lookout for that review soon! I’m not too sure what it does, but here’s a really cool looking double nibbed pen I saw. Here’s the newest Aurora. It was absolutely beautiful. The blue Aurolide resin has a nice amount of transparency to it and the sterling silver grip section gave it a great weight and balance! After walking around a bit, it was my turn at Richard Binder’s table. I told him what was wrong with the pen (I think I described it as “lumpy”) and he got to work. Some micro-mesh smoothing and some tine adjustment, and a little bit of sanding and my 149 was writing like it never has before. Perfect flow and smooth in every direction, I can now say that I will be carrying and using this pen much more. 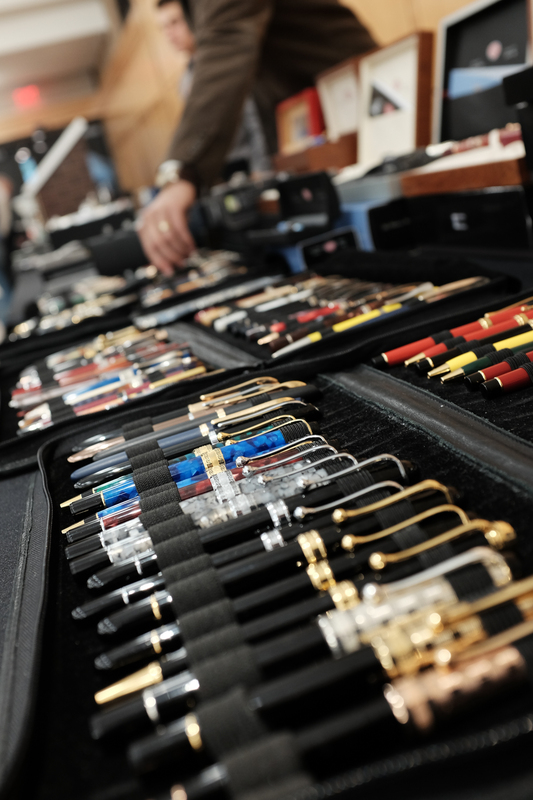 If you have a pen show nearby and Richard is going to be there, make sure you check it out. 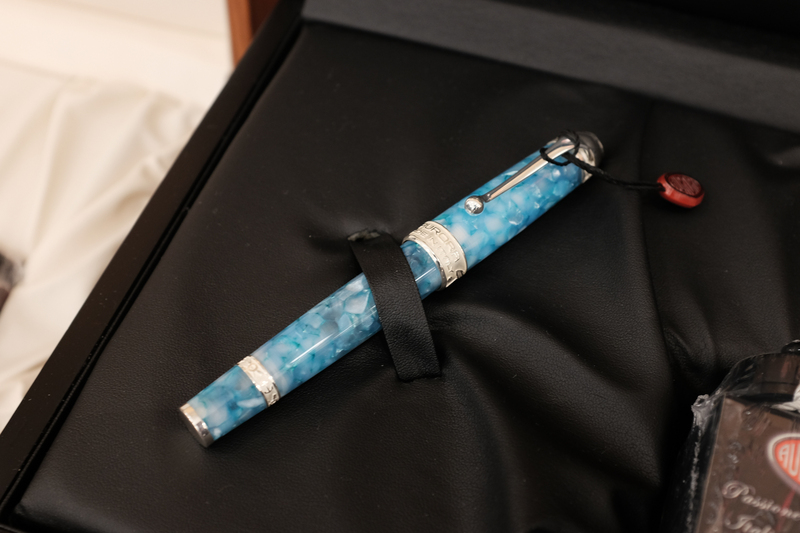 It’s easily one of the best parts about fountain pens – the ability to customize a pen exactly to your liking! On the way out I stopped by Kenro’s table. There’s a few new pens from Omas coming out that look great. Be on the lookout for those! It was nice seeing my former co-workers and catching up. It was a short stay at the show, but it was enjoyable. 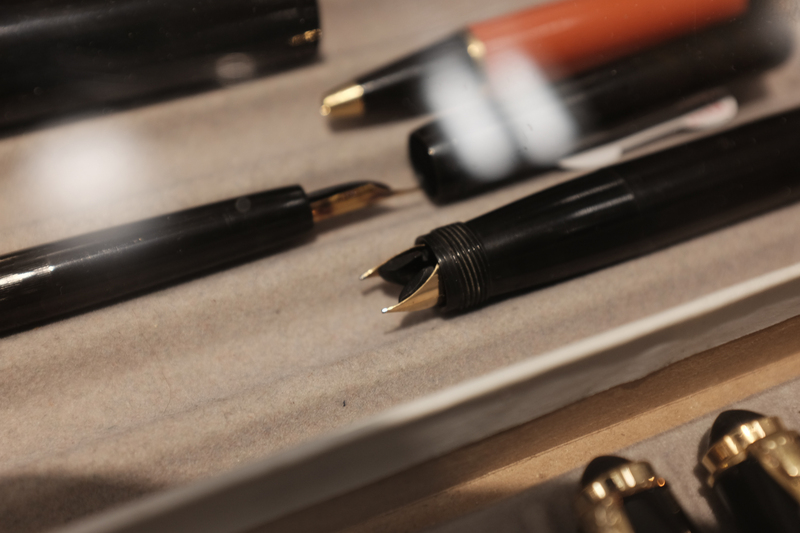 Check back soon for a full review and photos of the new Al-Star and an overview of the nib work done on the Montblanc! This is awesome!  I’m looking to attend my first pen show this year – I’m from Louisville, KY so the closest will be the Ohio Pen Show looks like. Hoping to get some nib work done as well.